ICYMI: This is the history of the Breton stripe. Ok, we all know stripes came from the navy. (or maybe not all of us do?) but either way, it’s an iconic motif that’s become a wardrobe staple. As I was getting to know my Breton Top from Les Sublimes, I did some research to really understand the history behind the stripes, why they’re so enduring, and in the process realized that I had been shopping for a striped shirt all wrong. The French Navy introduced a uniform, which consisted of blue and white stripes. The formula? 2cm white, 1cm blue. The pattern was crafted as a way to spot sailors easily in the event of a man overboard, and the classic cotton knit was tightly woven for protection against the elements, while fitting casually against the body and not too loose to catch on things while working. Those days when I was looking for the most chic, perfect stripe? Yup, the answer was back in 1858, in the specifications of a Naval uniform. 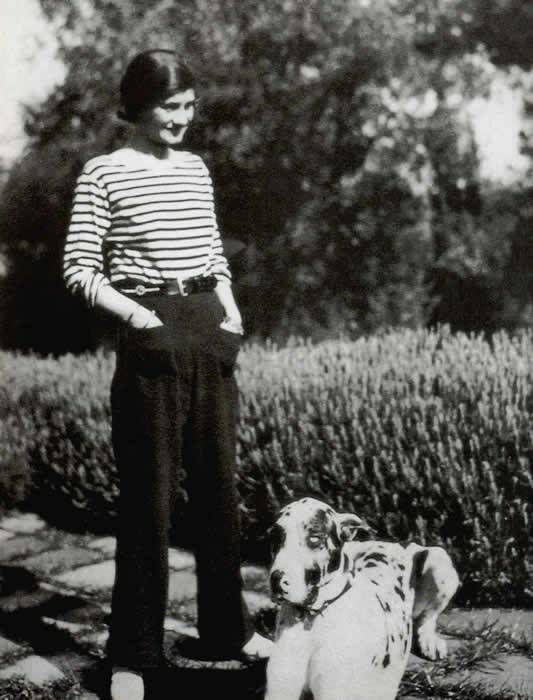 Coco Chanel visited France on holiday, where the stripes caught her eye as more than just a high quality, well-crafted uniform. She brought the pattern and silhouette into the fashion world and in doing so, began to influence a sort of liberation of the female body – going from corsets to more androgynous, casual style, revolutionizing the idea of femininity. Soon our most beloved classic stars like James Dean and Audrey Hepburn were sporting them casually and to formal events. A new classic was here. 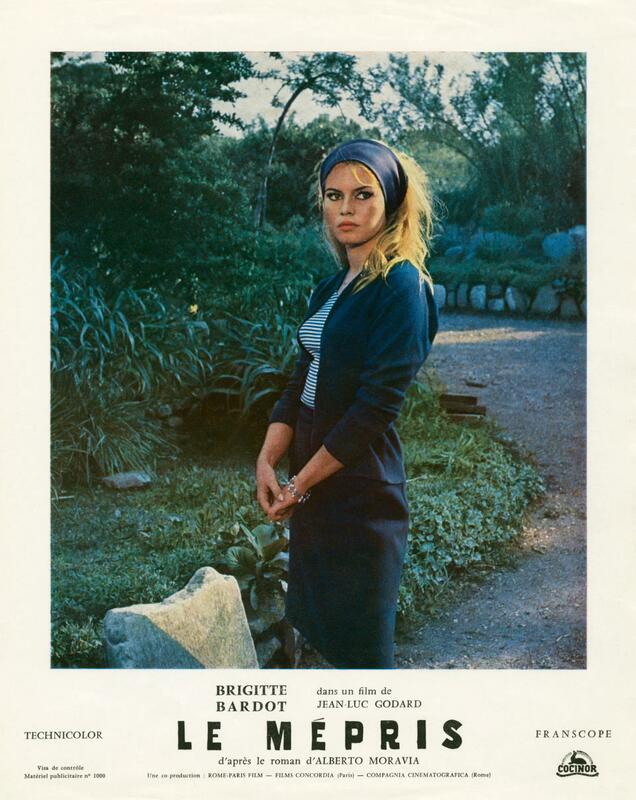 Artist and filmmakers adopted the Breton stripe into their work, like Picasso and director Jean-Luc Godard, who dressed Brigitte Bardot in them for Le Mepris. 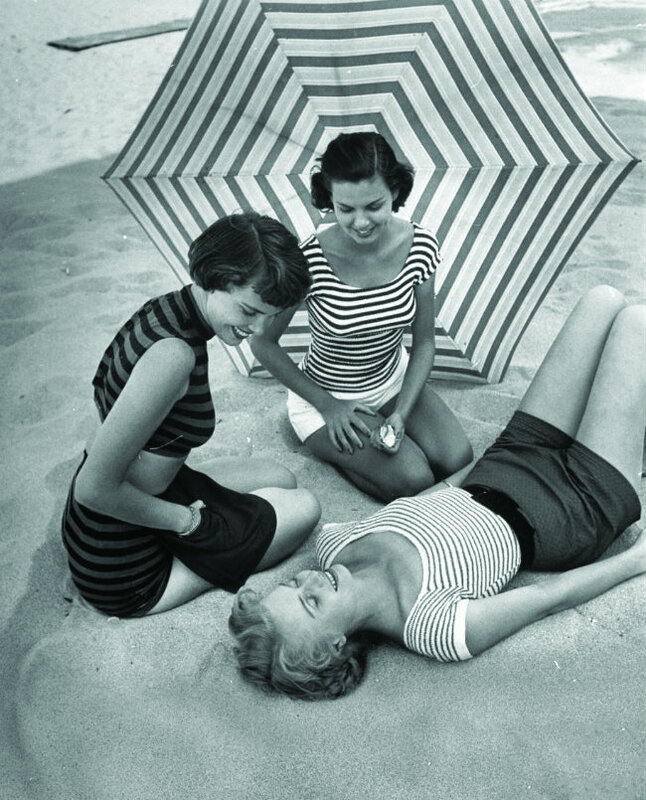 Stripes quickly became a symbol of counter-culture fashion, especially as the post-war generation began to come into their own identity – cementing the Breton stripe further into French identity. And then you have the stripe in a whole other kind of culture: punk rock. The Ramones were known for pairing stripes with ripped jeans and leather jackets, while the pattern was still being seen on runways. That’s the kind of versatility we get with this stripe: from punk and grunge, to evening wear and Parisienne femme. The modern history goes on and on, but what I keep thinking of is that the Breton Stripe started as a staple piece built for practicality, crafted from local cotton and wool, knit tightly and strongly to last. That’s the classic Chanel fell in love with. The Breton may have boomed into the world of mass production, but what I’ve been enjoying most about researching the history of this stripe this week, is learning the quality origins behind it – getting in touch with the original story and realizing that the top I’m wearing is crafted with the same care, the same quality, the same construction as the originals that Chanel fell in love with 100 years ago. Now that’s something special. The fabric behind the Breton Top – and why it’s amazing. Hey! I’m Sara: Canada-based conscious shopper & new homeowner on a journey to intentional living. On here you’ll find my experiences in seeking balance and joy in the form of minimalist home decor, low-waste living, ethical fashion and the story of makers around the world. Be the first to hear about new posts, promo codes & brand highlights!